Alligator wallet, crocodile wallet for sale, all our men’s genuine alligator skin wallets and crocodile skin wallets are free shipping worldwide. VANGOSEDUN’s alligator wallets and crocodile wallets are strictly handmade by exceptional craftsmen. We believe that our range of stylish alligator wallets and crocodile wallets can easily be accepted by anybody who likes beauty and quality products. The beauty, feel, smell, and texture of the alligator wallets and crocodile wallet have got us stricken. The alligator skin and crocodile skin are so beautifully made that they can easily blow your mind. As these wonderful state of the art have become the finest fashion trend, many luxury high-end fashion houses compete against each other in order to furnish the classic genuine crocodile leather wallets. These accessories are a must-have for men since they do not have much accessorizing done in their outfits. Alligator wallets and crocodile wallets are the statement pieces that men in need in their collections. Fashion comes in different ways and forms, the most common fashionable vibe tends to be the accessories that one carries. The fashion extravaganza is further enhanced when a necessity acts as an accessory. Wallets and bags are that part of your style statement that works both as a necessity plus accessory. A good wallet completes your outfit without making you look disorganized or all over the place. A wallet that is stylish, chic and classy speaks for its own quality. When it comes to wallets, nothing can be better, superior, eminent, supreme and whatnot than an alligator or crocodile wallet. Alligator skin or crocodile skin are considered to be the most sought-after leather in the world. 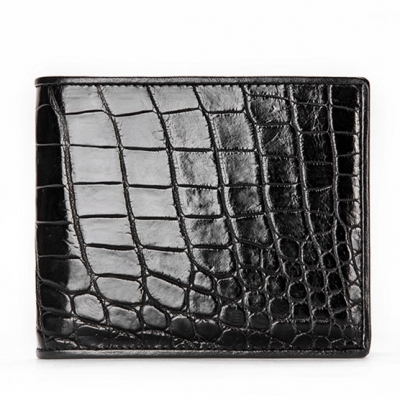 A crocodile wallet screams class and when it is properly taken cared of, it results in an epitome of luxury. Many famous fashion design houses produce alligator wallets and crocodile wallets. Though being expensive, the fashion freaks out there strive at their best to get their hand on these beautiful pieces of nature. Some fashion houses like Chanel, Louis Vuitton, Burberry and Versace provide the best ever genuine alligator wallets and crocodile wallets. If you are asking yourself do I need this? Or why should I have an alligator wallet or crocodile wallet? Then your answer lies in the optimal qualities of alligator and crocodile skin. The feel and touch of an alligator wallet and crocodile wallet can take you out of this world. These wonderful skins are so smooth, chic, soft and malleable, that a touch of them speaks their virtues. Alligator or crocodile leathers are very flexible and provide a great texture. The alligator or crocodile skins can also absorb water. Another feature that alligator wallets and crocodile wallets provide is that durability. An expensive and genuine alligator wallet or crocodile wallet is an investment that benefits you with a long-lasting pleasure. The alligator and crocodile skins are a gift from nature that is not easily damaged. With a little care and love, your alligator wallets and crocodile wallets can remain as good as new for many years. Moreover, little flaws or scratches that develop over time can be healed by polishing the leather of the wallets. Another reason for which you should have an alligator wallet or crocodile wallet is the wide variety of colors and texture that it comes in. Alligator and crocodile leather can be dyed in any color that accentuates its beauty. 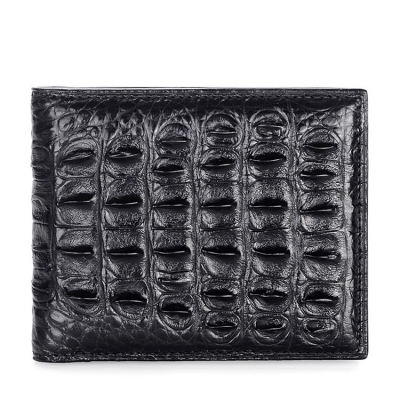 The pattern of alligator and crocodile skin gives the wallet a Unique differentiation. 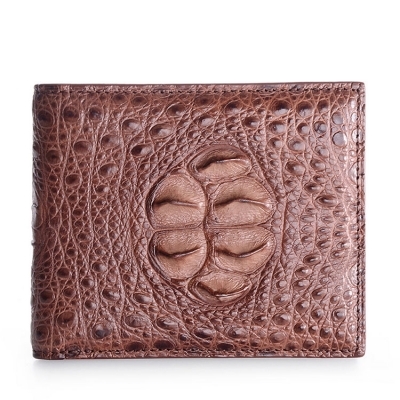 This trait of crocodile wallets makes it a special element to carry and enjoy. As genuine alligator wallets and crocodile wallets are extremely expensive, they are considered as a sign of wealth and richness. This beautiful piece of art is afforded and managed by the wealthiest people out there. The celebrities are also spotted with alligator wallets, making it a trend and a symbol of fashion and wealth. Having an alligator wallet and crocodile wallet in your collection will give you the pleasure of being rich and famous. Crocodile and alligator leather wallets along with the rich look and feel they give, they are likewise the stylish things you can give to your friends. Be that as it may, these leather wallets can be very expensive. Thusly, if you are considering purchasing an alligator or crocodile leather wallet or you as of now have one, appropriate care is vital to completely make the most of its usefulness. While they tend to keep going for 10 years or all the more, knowing how to take great care of your crocodile leather wallets and alligator leather wallets is significant to ensure your investment. Pick the correct product for the Material. The most ideal approach to look after your exotic leather wallet is to just keep it dry and clean. Never utilize any molding or cleaning products that are intended for animal’s leather, as these items can harm the material. The crocodile and alligator skin require unique conditioners intended for this specific material so as to maintain a strategic distance from damage and hold its surface sheen. Animal’s skin conditioners can influence the presence of the material. Before applying conditioner on the leather wallet, test it initially to keep away from any exorbitant setbacks. Simply apply it on a little segment of the hidden part of the leather wallet and evaluate the outcomes. Cleaning the crocodile leather wallet or alligator leather wallet ought to be done like clockwork. Clean the leather wallet with a perfect damp fabric or a cleaner that is specifically intended for this exotic material. Conditioning is the basic part of the procedure, in the wake of cleaning the leather wallet, you ought to saturate, replace the lost emollients and reseal the leather. If you need a normal approach to clean, saturate, condition and reseal your leather wallet, an extraordinary common item to consider is beeswax. Get a light covering of additional fine beeswax, rub it and gently buff off. This is all that is expected to ensure and save the skin. 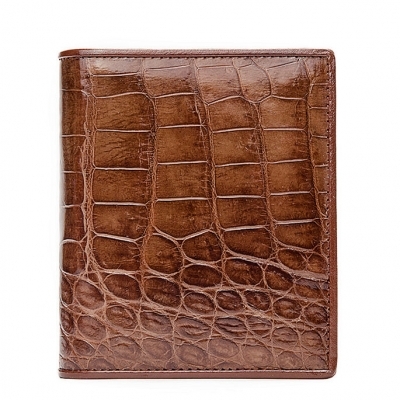 For storing the alligator and crocodile leather wallet, you need to guarantee that you protect its charm. To do this, try to keep the leather wallet in a cool and dry place. However much as could be expected, protect it from coordinate warmth source. This is on account of high temperatures dry the item, which can blur the color and harm your leather wallet. Your crocodile leather wallet and alligator leather wallet can be one of your most significant ventures. Hence, it is vital to observe the appropriate measures in caring for the product. Alligator leather ought to be put away in a cool dry place when not being used. If the leather products end up wet, first tenderly wipe off the excess water with a delicate dry spongy fabric; at that point dry them normally and gradually without sunlight or the heat. Keep in mind that the polished great finish on the alligator is exceptionally delicate in reference to solvents, cleaners, and conditioners generally used for some different kinds of leather.